Born in Zagreb, Croatia, Hrvoje Mazija obtained his veterinary degree from the Faculty of Veterinary Medicine, University of Zagreb in 1964. He gained an MSc in 1969 and a PhD in 1976 from the Faculty of Veterinary Medicine, University of Zagreb. In 1978 he became an assistant professor, in 1981 associate professor, in 1985 professor and in 1995 full professor at the Faculty of Veterinary Medicine, University of Zagreb. In 2011 he became a Professor Emeritus. From 1982-1985 he headed the Poultry Centre, and from 1987-2006 the Department of Poultry Diseases at the Faculty of Veterinary Medicine, University of Zagreb. During the 45 years of his active career, he was involved mainly in the diagnosis and immune-protection against respiratory viruses or those infecting birds via the respiratory route. 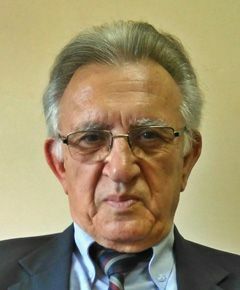 As an extremely curious person and with an instinct for the practical implementation of scientific knowledge (he was a President of the Croatian inventors association), he has 7 patents in the field of poultry health and production, and as a scientist and innovator has been recognized through the highest national and international awards. He showed that nebulization was a practical and effective method of vaccination of newly hatched poultry and game birds in the hatchery, inducing fast and long lasting immunity. His main achievement is aerosol vaccination against Marek’s disease (HVT-FC126) and avian pox. He authored or co-authored 215 peer-reviewed scientific and professional papers, and has mentored 49 graduate students, 24 MSc and 15 PhD. Also, he was leader of 13 national and 3 international projects. Since 1993 he has been the secretary of the Croatian branch of WVPA, the first recognised international veterinary association of the Republic of Croatia. In his career as a poultry virologist and poultry specialist, he was recognized and is still respected. With his devotion to scientific research, Prof Mazija still implements his ideas into scientific research, especially in the field of viral anti-tumour therapy, managing and leading work in the Institute for Experimental and Translation Oncology. His daughter Mirna (ecology specialist), son Goran (hydrogeologist) and wife Vesna make up his family.